The wearable technology market is on the rise ($20 billion in 2015 to almost $70 billion in 2025), and as with every new technological advancement, there’s room for innovative entrepreneurs to jump on the bandwagon and create the next billion dollar venture. Just this month, wearable engineers, designers, developers, and enthusiasts gathered in Silicon Valley at Wearables TechCon 2015 to discuss current trends, what’s to come, and what’s possible in the wearable tech industry. Over three days of classes and keynotes, attendees learned how to architect apps for the Apple Watch, work with artificial intelligence on recognizing emotions, expand the capabilities of fitness technologies, what it takes to bring prototypes to market, and much more. In speaking of bringing your wearable to the market, there are various barriers to entry when it comes to ensuring a successful product launch. While you can use 3D printers to produce a semi-functional prototype, securing the right technology, design, and materials can take years. 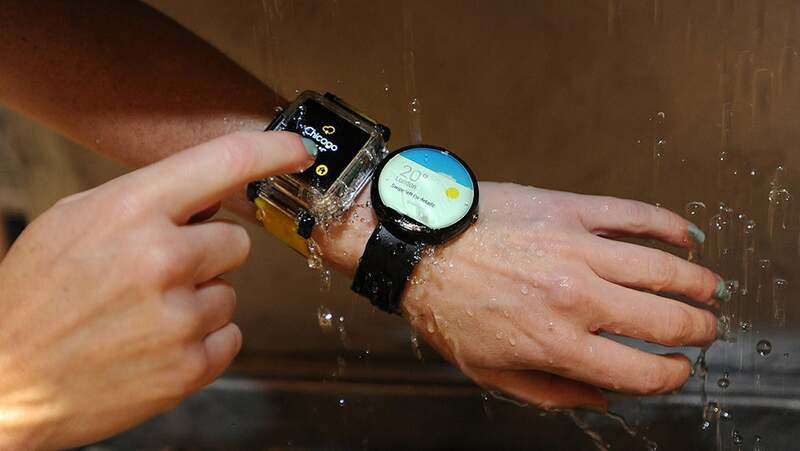 Additionally, entrepreneurs not only have to consider what value their product provides but also the context where the wearable performs well (is it waterproof? ), the form of the wearable (is it obtrusive? ), how it functions (it is a touch-based? Does it blink? Chime? ), and whether the market will adapt to the new process (is it safe to wear? Will it clash with my outfit?). When determining what your wearable provides, focus on the niche subject matter that you know your wearable will address well. Consumer adoption will initially depend on the quality of the prime offering the product provides – not how many bells and whistles it has. Recognize that your initial concepts will adapt over time as consumer feedback leads to product updates, and new materials enable enhanced product form and functionality. When it comes to creating the next hit, you have to be open to adjusting your models. Take a look at Fitbit’s history to get an idea of the transformations possible. The wearable fitness tracking (FitBit, MisFit) and smartwatch (Apple Watch, Android Wear) worlds are already inundated with competitors, to ensure that your next innovation can make a move in the market, securing your IP documentation should be a priority.